Debra Schoenberger has shared an article with us here at Jaquo, as part of the virtual book tour she is currently on for her new book, Walk With Me. I take a lot of photos with my smartphone because I have it with me all the time. The quality of photos taken with the newer smartphones is remarkable. Using a dedicated insta camera (Polaroid Snap Touch Fujifilm Instax Mini) means that it prints all your photos instantaneously, whether they turn out or not. This can get expensive and you end up wasting a lot of prints. 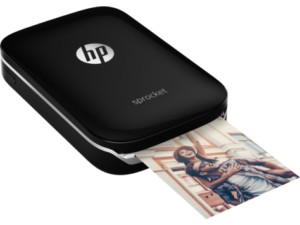 A wireless smartphone printer allows you to print only your best photos. There are different types of mini printers. One will print regular prints onto photo paper with a peel-off backing. I have the HP Sprocket. It is lightweight and will fit into your backpack or luggage. You can put your freshly printed photos into a scrapbook or give them to friends. The print quality is ok, not phenomenal but still a fun option. The other option is the new Instax SP-3 which prints Polaroid-like photos. These printers are not cheap, running between $179 and $250 (CDN) and you do have to buy the photo paper (you don’t need to buy ink for these mini printers – the processing is all on the photo paper). I carry a travel journal with me when I travel and like to unwind at the end of the day and print some of my favourite photos to put into my journal. Whenever I’m asked “which is the best camera?” I pretty much respond: “the one you have on you.” In fact, most of the images in this book were taken with my cell phone simply because I always have it with me. This is not only a book about street photography but a visual diary, or collection of quirky, unusual and sometimes just plain weird photos I’ve taken over the course of the last decade. To read reviews, please visit Debra Schoenberger’s page on iRead Book Tours.